It's Not Work, It's Gardening! : Amazing: life! 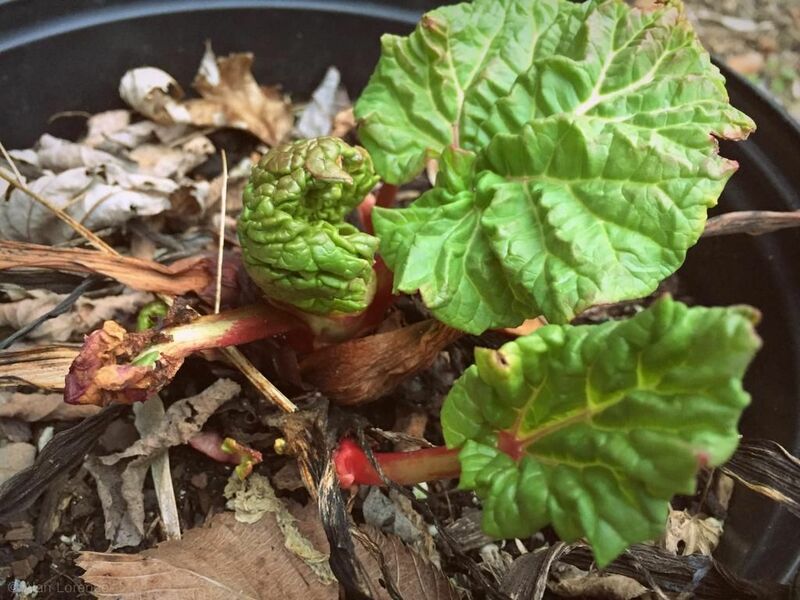 I've been able to keep rhubarb alive! 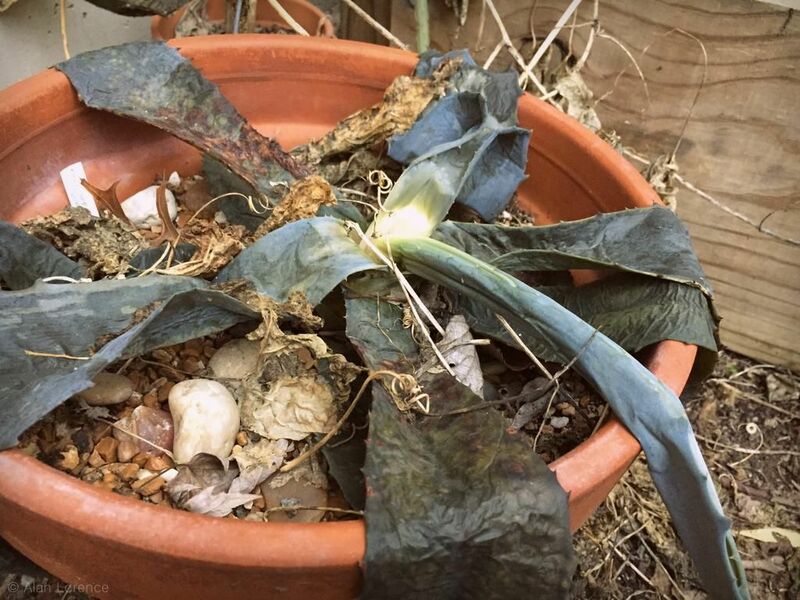 This is a plant that I've tried to grow several times, with the plant dying each time. Not sure what I did wrong: too much heat, not enough heat, too much water, not enough water. It was getting frustrating. Last spring though I tried again. My plan was to put this into the ground on the south side of my fenced veggie garden, into the slightly expanded area that the new fence would give me. I have yet to finish the fence project, so the plant stayed in a nursery pot all summer. I did transplant it into a larger one at least, and maybe that's what I did right? In any case, the plant is doing fine and starting to wake up! This hardiness test would probably have been fine except for the few bitterly cold nights we had. The rest of the winter has been m-i-l-d. Ah well, I have plenty of this agave. hence the reason for the test. I always heard rhubarb leaves were toxic so deer won't eat them. Although his would they know if they don't try? 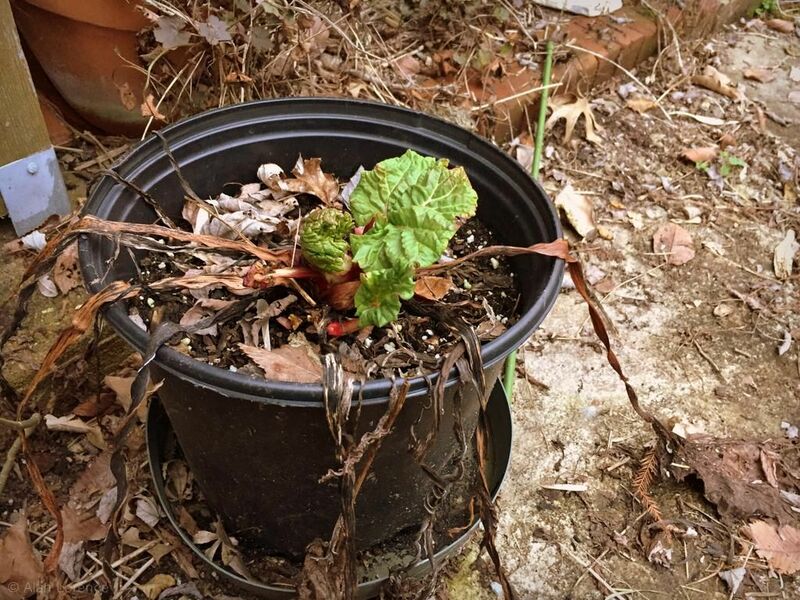 I love rhubarb, and from my experience, it needs water, water, water. And it likes heat. So a nice warm spot and plenty of water will keep it happy. It's very hardy; my mom in Germany has had hers all her life. Gerhard: I think the water is key -- I had a saucer under this pot all summer and it often was full. I think I'll get a few more plants this spring and put them in various parts of the yard, hoping that I can get enough water to at least some of them. Thanks! It used to grow wild everywhere in Manitoba, Canada according to my Mom. They would go out and gather it for pies. It doesn't much like Southern California. 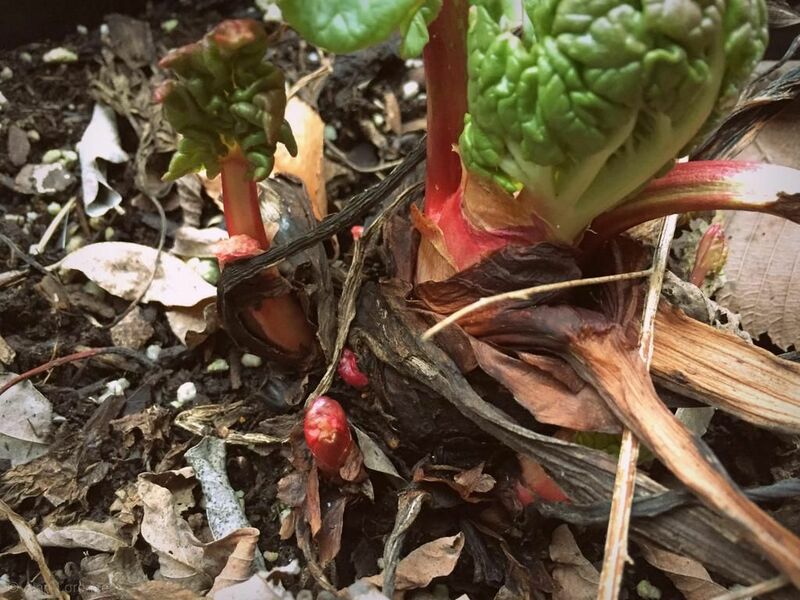 Hooray for your rhubarb success. I think both water and very rich soil, lots of manure, or any organic fertilizer high in nitrogen really helps. We grew it in southeast Alaska where the summer temp seldom got above seventy degrees and it thrived on a diet of fish guts/heads.